This entry was posted in production and sales and tagged press sales on September 10, 2013 by James Day. 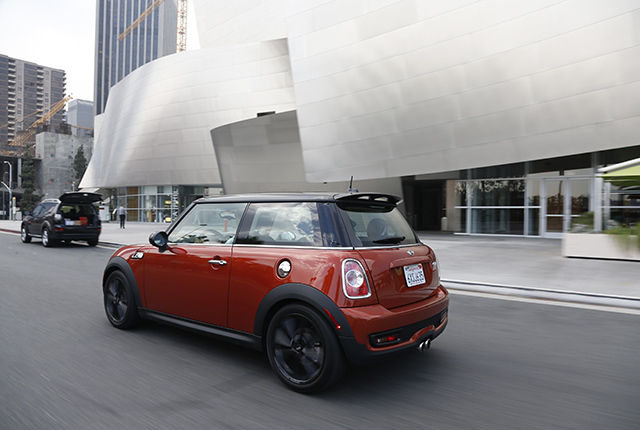 MINI also reported its best August figures ever with 20,653 deliveries worldwide (prev. yr. 18,672/ +10.6%). Sales of the MINI Hatch climbed by 22.5% last month to 9,662 units (prev. yr. 7,886) and MINI Convertible deliveries increased by 8.2% to 1,548 cars (prev. yr. 1,431). The brand continued to record strong growth in Asia: Mainland China (2,460/ +31.1%) and South Korea (550/ +22.2%). Year-to-date, MINI worldwide sales are at around last year’s level with 192,966 vehicles delivered to customers in the first eight months (prev. yr. 192,651/ +0.2%).